Ph.D. 1986 National Institute of Oceanography, M.S. 1980 IIT-Delhi. 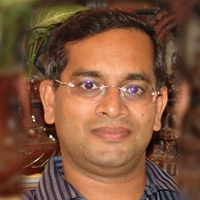 Research Interests : Physics of the Indian Ocean, tropical Air-Sea Interaction, Predictability of Ocean and Climate, Ocean Modeling. 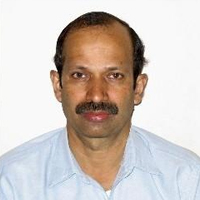 Research Interests : Tropical convection, cloud dynamics, mesoscale convection, laboratory modeling of atmospheric phenomena, field experiments, ocean-atmosphere coupling, atmospheric boundary layer. 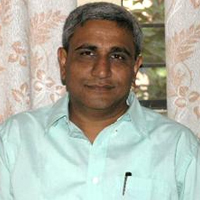 Ph.D. 1992 IISc, M.E. 1986 IISc, B.E. 1984 Rani Durgavati University. 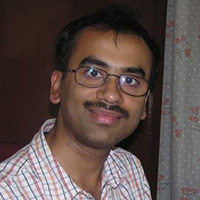 Research Interests : Climate Modeling, Meso-scale Modelling, Monsoon Variability, Application of High Performance Computing to Climate Studies. 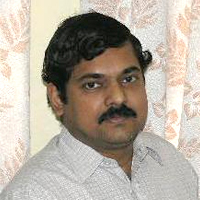 Ph.D. 1996 IISc Oceanography, M.Sc. (Engg). 1992 IISc, M.Sc. 1987 Cochin University of Science & Technology, B.Sc. 1984 University of Calicut. 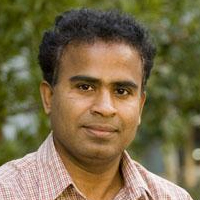 Research Interests : Dynamics of the Indian Ocean, Ocean modeling, Physical-Biological interactions in the ocean. Research Interests : Aerosols, Radiation, Clouds, Climate, Field Experiments. Research Interests : Global climate change, Coupled Climate and Carbon Cycle modeling, Land use change, Radiative forcing and Climate Sensitivity, Geoengineering, High-resolution modeling. 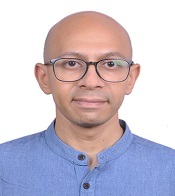 Research Interests : Stochastic Hydrology, Space-time Structure and Scale-invariance of Precipitation, Precipitation Downscaling, Retrieval and Validation of Remotely-sensed Precipitation, Cloud-resolving Models. 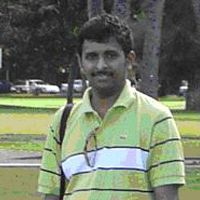 Ph.D. 2005 IISc, M.Sc. (Engg) 2000 IISc, M.Sc. (Physics) 1998 Jadavpur Univerisity. Research Interests : Tropical Climate, Monsoon Variability and Prediction, Physics of Clouds and Convection, Aerosol and Climate. Ph.D. 2003 University of Chicago, M.S. 1998 University of California-Davis, B.Tech. 1995 IIT-Bombay. 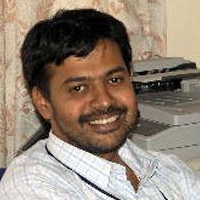 Research Interests : Geophysical fluid dynamics, Advection-diffusion-dispersion phenomena. 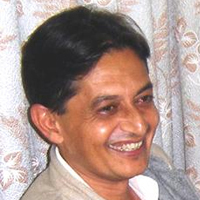 Research Interests : Nonlinear climate dynamics, Statistical methods in climate, Climate change economics and policy. Ph.D. 2001 Physical Research Laboratory, M.Tech. 1994 IIT-Roorkee, B,Sc. Hons. 1991 Delhi University. 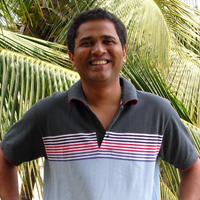 Research Interests : Paleoclimate reconstruction, Stable isotope geochemistry, palaeo-oceanography, Tectonics and climate, atmospheric CO2 and its flux estimates based on isotope technique, Mass spectrometry, Early life and organic evolution.